When one of our Whisky Ladies mentioned she would be bringing a special 20 year old Glentauchers bottled by that Boutique-y Whisky Company for La Maison du Whisky, I suddenly remembered I had an old small bottle of a series presented by Ballentine’s to show off the respective character of key elements in their blend. So pulled it out, dusted it off and hoped it wouldn’t be completely oxidized and terrible… we were in luck! It had stood the test of Mumbai storage conditions rather well! Overall this whisky was pronounced “Yum!” Simply an exceedingly easy “appetizer” of a whisky. Far from being a disaster, it was actually quite delicious. Clearly this blend had stood the test of time. 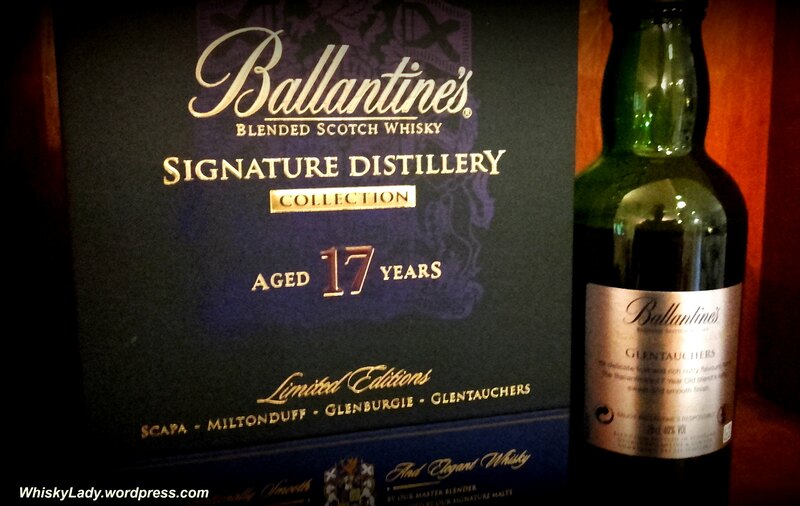 This entry was posted in Blends, Scotland, Speyside and tagged Ballantine's Glentauchers, Ballantine's Signature Distillery Collection, Glentauchers by Carissa Hickling. Bookmark the permalink.